This month, Shaquana Suggs, a lecturer in the Department of English, gives insight into how faculty can use their skills and knowledge to globalize their courses. Why Does Globalized Learning Matter? One of the reasons I became an English lecturer with the First Year Writing Program at NC State was to be in a position where I could help highlight the political, economical, social and technological issues that matter the most to students in their chosen academic path. With November granting us an opportune moment to acknowledge International Education Month amidst the ongoing challenging climate that continues to shape our students’ diverse perspective of the world, we must find ways to enhance our classroom space through global engagement. For me, this kind of course globalization encompasses classroom discussions about race as well as the exploration of our emotions, age differences, statuses, cultures, classes, mentalities, genders and even our spiritualties. 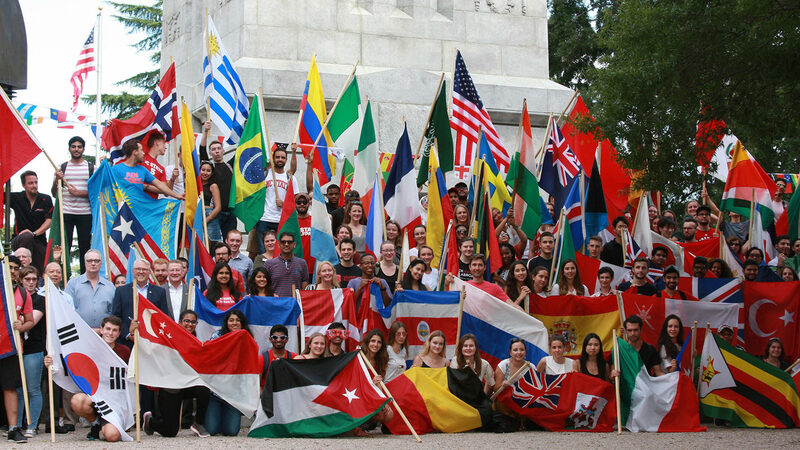 Globalized learning that embraces this extended version of diversity matters at NC State. This is where our excelling teachers not only reflect internationality in their research initiatives, but they also take action locally and globally to make a difference in the world. We learn and we teach. We think and we do. What Does Globalized Learning Look Like? No matter your field or discipline, global learning in the classroom can take place in a few ways. Make Time for Conversation: At the start of this semester, my class discussed the purpose of higher education in America. Moments into the conversation a student confessed his concerns about not being able to finish his degree due to having “temporary status,” because he was not born on U.S. soil. This is not the first time the issue has come up, and every time it does, the shift in perspective is almost visible. Students’ usual response is to ask where their classmate is from, or to share a similar experience. If issues related to higher education and citizenship come up in your class, give students the the time and space to be open about their thoughts and to set the tone for conversations. Make Time for Connections: If there are headlines in the media that make your students uncomfortable, especially headlines that affect us internationally, take a few minutes to air out. Even if it’s having students write for a few minutes on a global headline in your field, you can see (sometimes literally) where they are coming from by the time they reach your classroom. The more real life connections we can make to the work we want them to do, the more meaningful the learning will be. Make Time for Celebrations: In high school, our French teacher had us cook popular French cuisine as part of a final project. My home-baked butter cookies weren’t nearly as scrumptious as the ones I later enjoyed by the Seine River, but they still built a foundation for my appreciation of French culture. Not only in November, but going forward as well, find wiggle room to celebrate international education. Have students go out and try a certain cuisine; encourage them to watch documentaries about the refugee or immigration crisis; help them solve complex global issues in your discipline. Afterwards, have students record their experience in a journal, blog, or other multimodal form for them to reflect on when they’re abroad. How Does Globalized Learning Make a Difference? Sometimes the smallest real life application to solving a problem can make a significant difference in how students retain information. International students, especially, can offer some of the most rewarding insights on a topic when given the opportunity to do so, making the classroom experience for everyone feel more grounded. That, to me, is worth inviting more global awareness into our everyday lives. 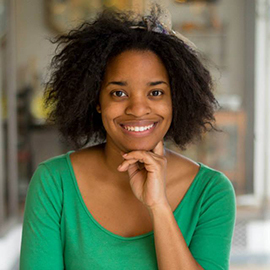 Shaquana Suggs is a lecturer in the Department of English in the College of Humanities and Social Sciences. She can be reached at spsuggs@ncsu.edu.